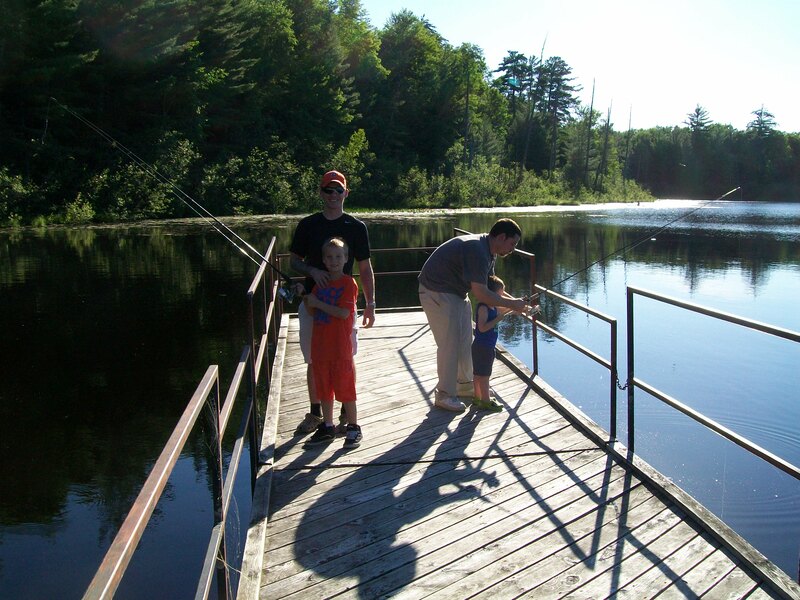 I took this photo of some fathers teaching their boys how to cast and fish up at Big Leverentz lake. The dock is a great place to try for bluegills and I hope they got a few. That’s all it takes to hook young boys on fishing!